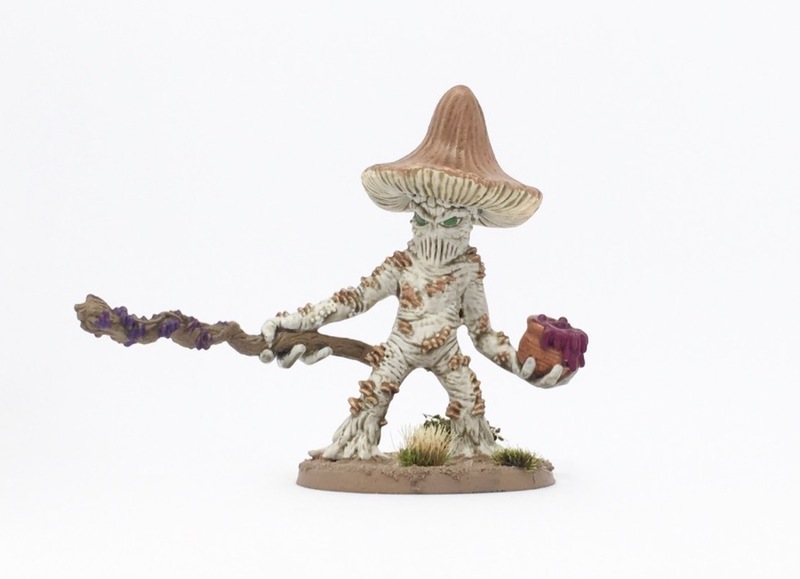 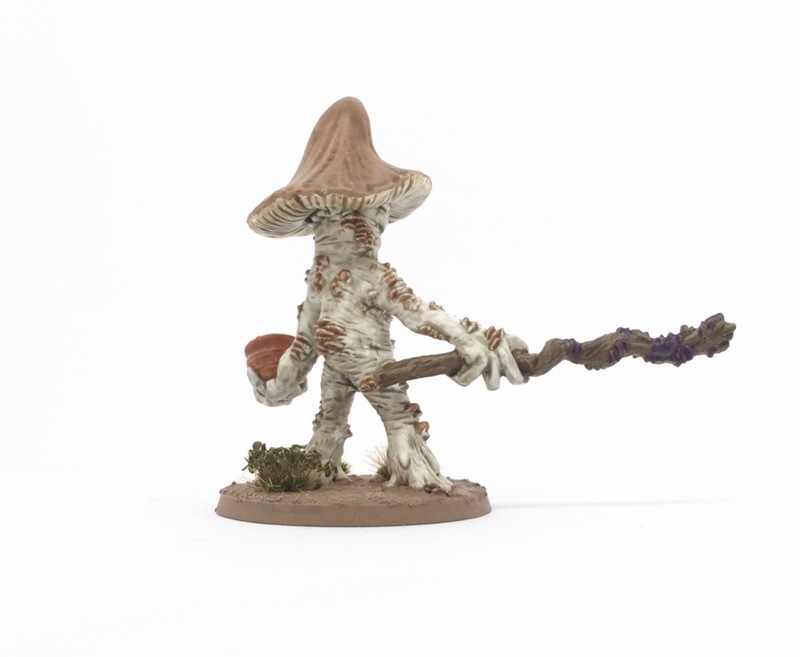 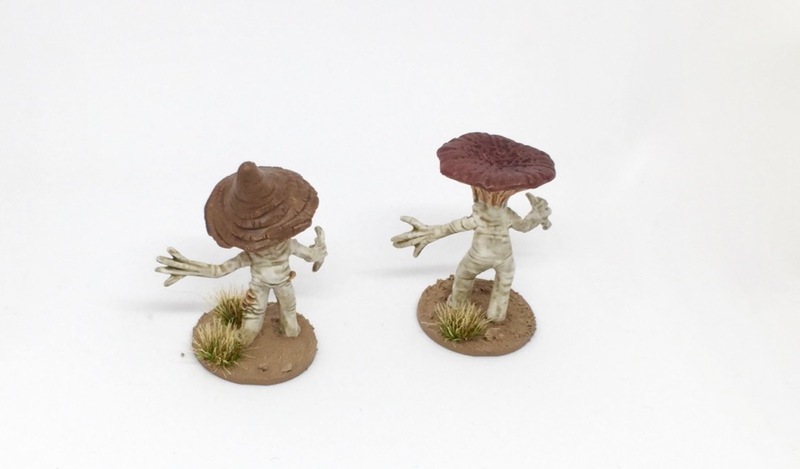 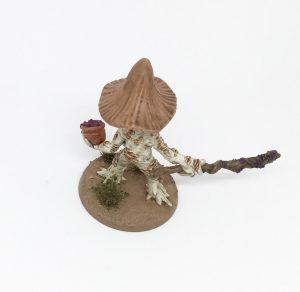 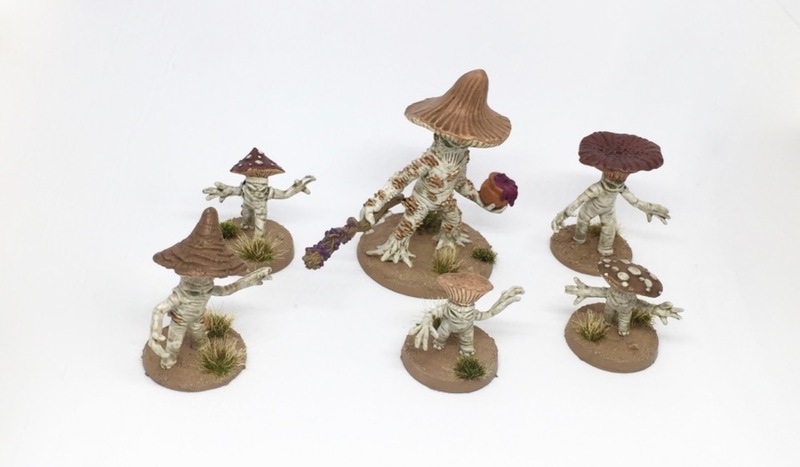 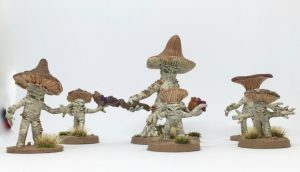 For my fantasy campaign, I painted some Myconids from Otherworld Miniatures. 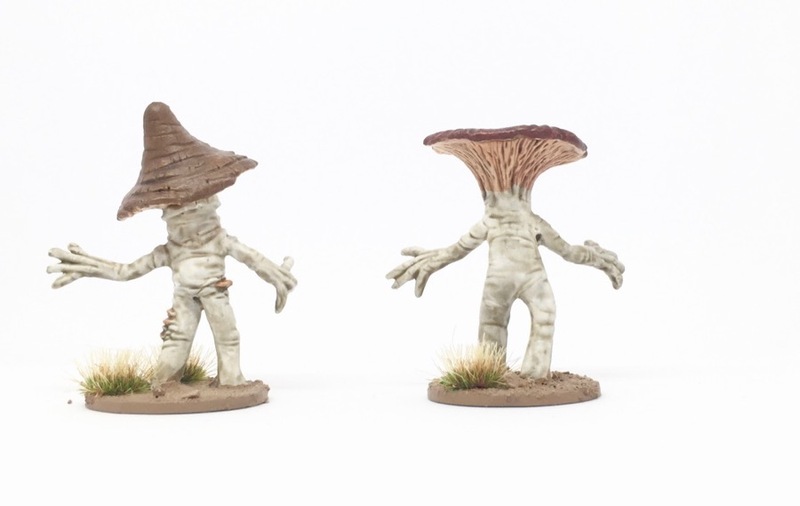 They are nicely sculpted and the overall look is just amazing. 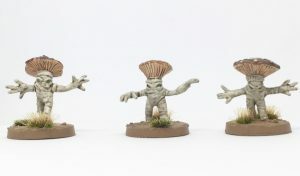 I will use them for a specific scenario in my campaign. 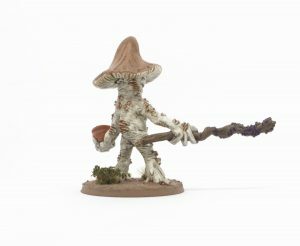 The Myconid King will be used for a Boss Fight. He will have some nasty special rules so that he is a real challenge for the players. 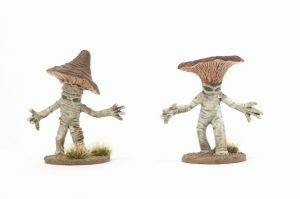 The greater and lesser Myconids will be average mobs, spawning near the King. Just to add some additional hassle for the players.